Harrowing charges of Nazi war crimes have been levelled against a chess master who participated in the Kemeri, 1937 tournament alongside such figures as Alekhine, Fine, Flohr, Keres, Reshevsky and Tartakower. A densely-documented 12-page report by Zandy Alter and Michael Kapel in The Australia/Israel Review Vol. 22 No. 14 (1-22 October 1997) states that Karlis Ozols ‘executed thousands of Jews and liquidated entire Latvian villages during World War II’. Among the specific claims are that on 1 July 1941 he joined the Latvian Security Police in Riga; that in early 1942 he was trained at Fürstenberg (Germany), an establishment run by the Sicherheitsdienst (the security service of Himmler’s SS); that he commanded a unit of about 100 Latvians which, between 24 July 1942 and 27 September 1943, assisted in the transportation, guarding and execution of Jews; that between July 1942 and September 1943 over 10,000 Jews from the Minsk ghetto were murdered, with Ozols personally carrying out some killings; that on 8-9 February 1943 Ozols and 110 Latvians under his command assisted the SS to kill more than 2,000 Jews of the Slutz ghetto. ‘The killings [open-air shootings and gas vans] were efficiently organized. Orders directly from Hitler were passed down the SS hierarchy to the Latvian officers under their command.’ On 20 April 1944 Ozols was promoted to the rank of Obersturmführer and was decorated with the KVK II (Kriegsverdienstkreuz – the War Merit Cross). The following December, he disappeared. We commented that confusion had apparently arisen between 9/8 and 8/9. Sometimes it is stated (e.g. 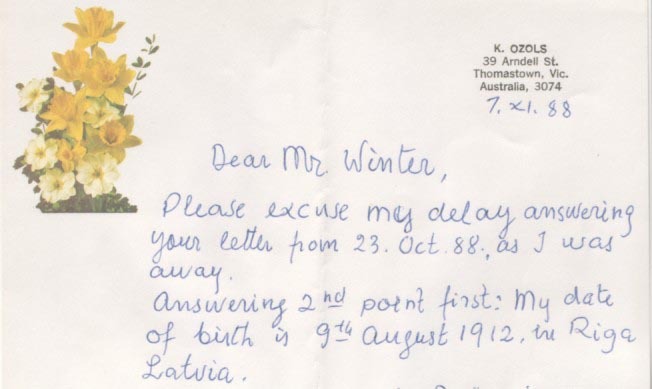 in a feature on him on pages 288-289 of the 1 December 1949 issue of the Australian magazine Chess World) that he learned the moves of chess at 15 and that two years later he drew against Emanuel Lasker in a simultaneous display, but it has not proved possible to find details. A further two years on, he was already competing in the Latvian Championship, finishing fifth. He studied Law at the University of Riga. 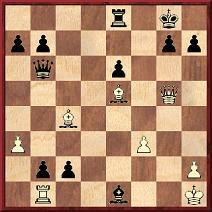 30 Qe2 h2+ 31 Kh1 Bxg2+ 32 Qxg2 Qxg2+ 33 Kxg2 Rxf1 34 White resigns. 10 e4 (Beginning a rare instance of the Excelsior theme.) 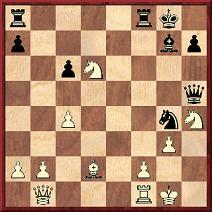 10...Nc5 11 e5 Nxd3 12 exf6 Nxb2 13 fxe7 Nxd1 14 exf8(Q)+ Qxf8 15 Rfxd1 Qf6 16 Re1 Bd7 17 Ne5 Be8 18 f4 Rd8 19 Ndf3 h6 20 h4 Kh7 21 c5 a5 22 Rac1 Bh5 23 Kf2 Qe7 24 Nd4 Qf6 25 Bf3 Bf7 26 Ke3 Bg8 27 Bh5 g5 28 hxg5 hxg5 29 Rh1 Kg7 30 Rh2 g4 31 Rch1 Qe7 32 Bf7 Qxc5 33 Kd3 Qb6 34 Nxe6+ Kf6 35 Nxd8 Bxf7 36 Nd7+ Resigns. 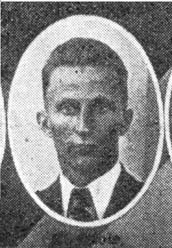 Kemeri, 1937. Front row from left to right: V. Petrovs, F. Apscheneek, A. Melnbārdis, K. Bētiņš, H. Kmoch, S. Landau, S. Flohr, P. Keres, E. Steiner. Behind: J. Kalniņš, E. Giese, P. Ķeirans, V. Mikenas, M. Feigins, K. Ozols, L. Rellstab, E. Böök, S. Tartakower, A. Kanenbergs, A. Alekhine, G. Ståhlberg. Shortly afterwards, he represented Latvia in the 1937 Olympiad in Stockholm, scoring +2 –5 =3. His best-known game was against Peter Reid of Scotland, which he won in eight moves, despite overlooking the win of a piece at move seven. 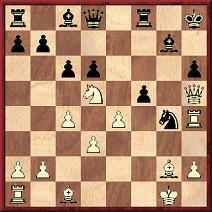 The score may be found on page 157 of A. Földeák’s Chess Olympiads and on page 109 of W.H. Cozens’ The Lost Olympiad. Reid died about two years later, aged 27, in a Skye climbing accident (BCM, September 1939, pages 396-397). 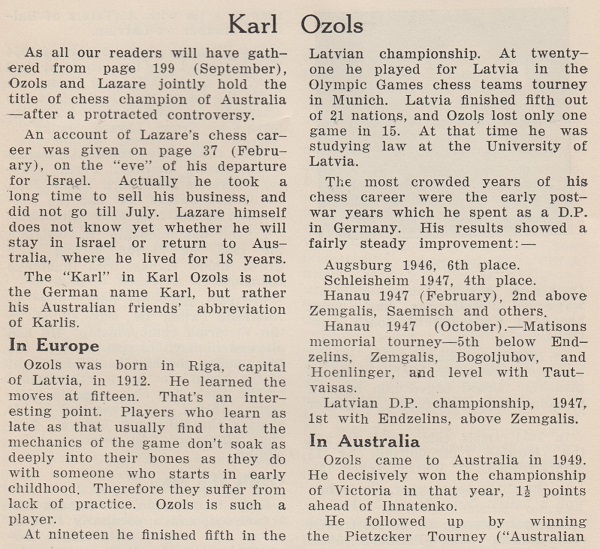 Ozols’ name more or less vanished from chess periodicals until after the War, when he played in a few tournaments in Germany for ‘displaced persons’ (to use the term in CHESS, January 1948, page 89). These events included the Mattison Memorial Tourney in Hanau (near Frankfurt) in 1947, which was won by his fellow Latvian Endzelins, ahead of Zemgalis, Bogoljubow and Hönlinger. Ozols was equal fifth. 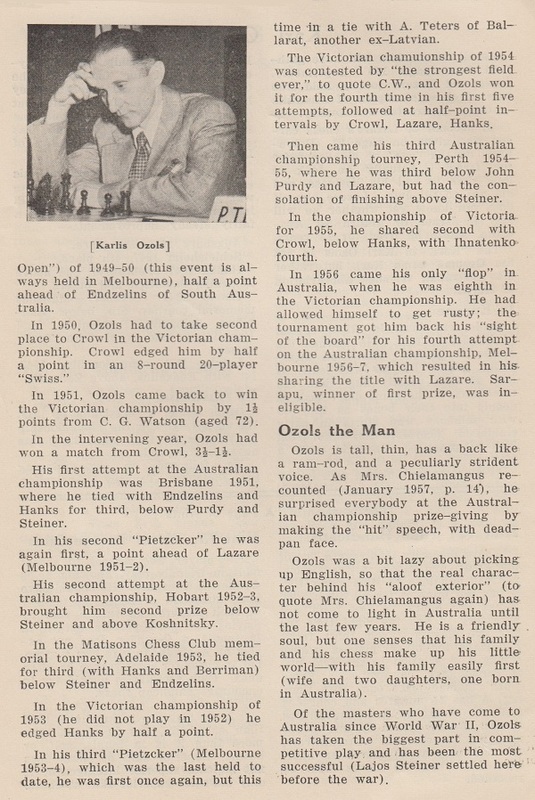 In all, Ozols won the Championship of Victoria nine times between 1949 and 1971, as is shown by the table on page 55 of Care for a Game – The Story of Melbourne Chess Club by Robert Brooking, a booklet published in the mid-1980s. He also won the Australian Open Tournament in Melbourne in 1949-50 and 1951-52, as well as, jointly, the Australian Championship in 1956-57. 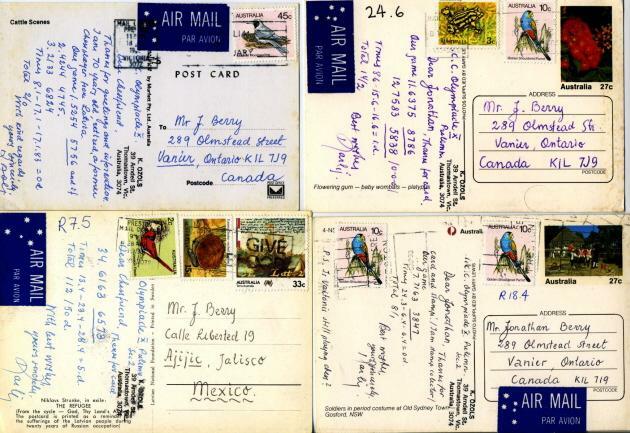 He became a naturalized Australian citizen on 17 October 1956. A selection of his most interesting games follows. 41 a5! 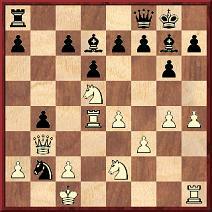 Nxf4 42 Ke3 Kc4 43 b6 Nd5+ 44 Kd2 Nb4 45 b7 Na6 46 Nc6 f4 47 h4! f3 48 Ne5+ Kb5 49 Nxd3 Kxa5 50 Ke3 Kb6 51 Kxf3 Kxb7 52 Kg4 Kc7 53 Kg5 Kd6 54 Kh6 Ke6 55 Kxh7 Nc7 56 Kg6 Nd5 57 h5 Ne7+ Drawn. Source: Chess World, 1 November 1950, pages 249-252. 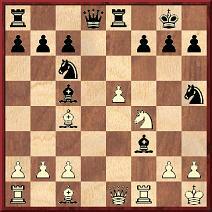 33...Nf4 34 Nxf4 exf4 35 Qa2 Rxh4+ 36 gxh4 Qxh4+ and Black wins. Source: Chess World, June 1951, pages 113-114. 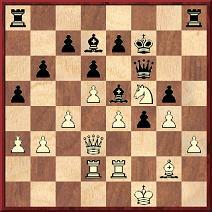 19 Nh5+ Kg8 20 Nf6+ Bxf6 21 exf6 Be6 22 Qf4 Nd7 23 Re3 Kh8 24 Bxg6 Rg8 25 Bxh7 Rg4 26 Qh6 Qf8 27 Qh5 Rxg2+ 28 Kxg2 Nxf6 29 Rxf6 Qg7+ and Black resigned in view of 30 Rg3. 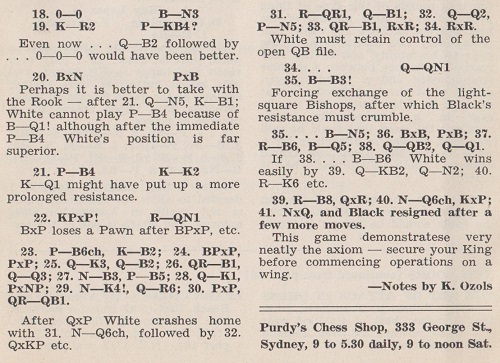 Source: Chess World, June 1951, pages 118-119. Next, from the same event, ‘a rollicking game’ which is ‘another example of Ozols’ special variant of the Dutch Defence’. 21...Nxf2 22 Rxf2 Rxf2 23 Kxf2 Qc5+ 24 Kg2 Qxd6 25 Bf4 Qd4 26 Nf5 Qxc4 27 Nxg7 Qd5+ 28 Kh2 Kxg7 29 Qc1 Re8 30 Qc3+ Kg8 31 Be3 Re5 32 g4 Re4 33 Qc5 Qxc5 34 Bxc5 Re2+ and Black won. Source: Chess World, May 1952, page 113. On page 1 of the January 1952 Chess World M.E. Goldstein wrote: ‘With his delicate sense of position and superlative end-game technique, Ozols impressed me [at the 1951-52 Australian Open] as a polished master with but one psychological weakness, a tendency to repeat certain openings of slightly inferior theoretical value’. Goldstein also said that Purdy, Steiner, Koshnitsky, Ozols, Endzelins and Hanks ‘form a band of six who could assure Australia of victory in a six boards match against any countries in the world except Russia, USA and Yugoslavia’. 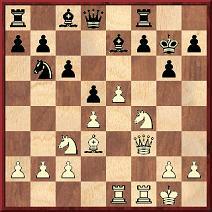 18...c5 19 Qxb2 a5 20 Qb3 cxd4 21 Nb6 Be6 22 Nd5 Qd8 23 Rd1 Bxd5 24 exd5 Qb6 25 Qd3 Qc5 26 Qe4 a4 27 Nxd4 b3 28 axb3 a3 29 b4 Qxb4 30 Nb3 Qxe4 31 fxe4 a2 32 White resigns. Source: Chess World, February 1954, pages 38-39. 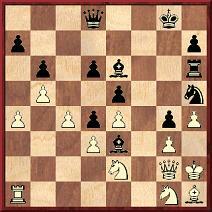 24...Qc7 25 Bd3 c1(Q) 26 Bxh7+ Kxh7 27 Qh5+ Qh6 28 Qxh6+ gxh6 29 Bxc7 Bc3 and Black won. This game is annotated on pages 138-139 of C.J.S. Purdy’s Fine Art of Chess Annotation and Other Thoughts, compiled and edited by Ralph J. Tykodi. Sarapu gained revenge two years later in a tournament in Sydney, a game he included on pages 29-30 of his autobiography ‘Mr Chess’ The Ortvin Sarapu Story. 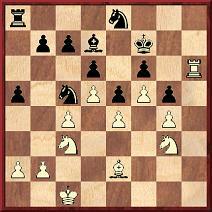 A curiosity from this period was Ozols’ game against Basta in the 1958-59 Australian Championship in Sydney. 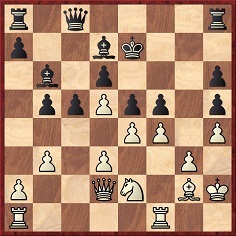 As noted on pages 61 and 72 of the March 1959 Chess World, Basta secured a draw under the 50-move rule in a middle-game position in which both players still had all their pawns. 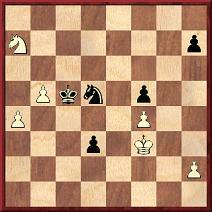 Under the heading ‘Wizard Strategy by Ozols’, the next game was published on pages 4-5 of the January 1963 Chess World. It may also be found in the above-mentioned Tykodi book (pages 149-150). 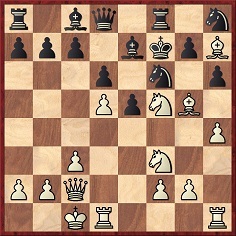 35...b5 36 cxb5 a4 37 Rc2 Rhc8 (‘Ozols is particularly good at recognizing when time is not of vital importance.’) 38 bxa4 Rxa4 39 b6 cxb6 40 Rxc8 Bxc8 41 Qb3 Ra8 42 Kf2 Bd4+ 43 Kf3 Bc5 44 a4 Qe5 45 h4 Bd7 46 hxg5 Rxa4 47 g6+ Kxg6 48 White resigns. 14 e6 (‘I wonder how many lesser brains would recapture automatically. This is masterly play.’ – E.A. Basta.) 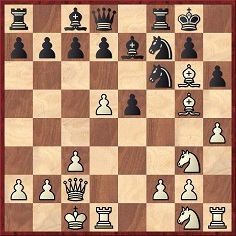 14...Bxg2+ 15 Nxg2 fxe6 16 Rf5 Qd4 17 Bxe6+ Rxe6 18 Qxe6+ Kh8 19 Bg5 Qxb2 20 Re1 Bf8 21 Bc1 Qxc2 22 Rxh5 Rd8 23 Rd5 Rxd5 24 Qxd5 h6 25 Qf7 Be7 26 Nf4 Kh7 27 Qb3 Qf2 28 Qd3+ Kg8 29 Qe2 Qh4 30 Ng6 Qf6 31 Nxe7+ Nxe7 32 Qxe7 Qf3+ 33 Kg1 Qg4+ 34 Kf2 Qf5+ 35 Kg3 Qg6+ 36 Kh4 Resigns. Source: Chess World, June 1963, page 93. 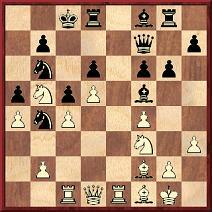 19 Rxg4 fxg4 20 Bxh6 Kg8 21 Bg5 cxd5 22 Bxd8 Rxd8 23 Qxd5+ Kh8 24 d4 Bd7 25 Qh5+ Kg8 26 e5 Be6 27 Be4 Rd7 28 d5 Bf7 29 Qh7+ Kf8 30 Qf5 Re7 31 e6 Rc8 32 Bd3 Bxb2 33 Rf1 Bd4+ 34 Kh1 Rcc7 35 Qxg4 Resigns. 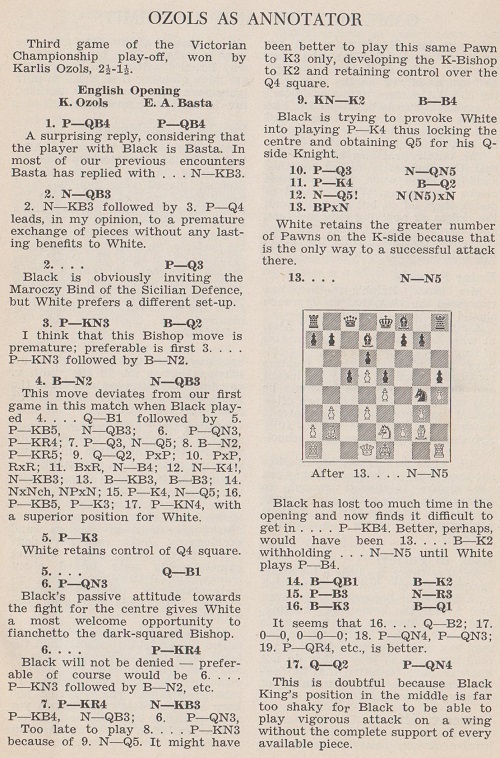 Source: Chess World, September 1963, page 130, October 1963, pages 154-156, and November 1963, page 164. 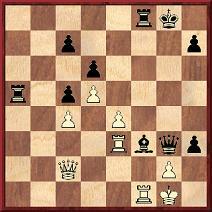 21 Nfd4 cxd4 22 Qxd4 Nd7 23 Qa7 Na6 24 Qa8+ Nab8 25 Qxa5 Nc5 26 Na7+ Kd7 27 b4 Resigns. Ozols has never been prosecuted for war crimes. A detailed enquiry into his wartime record was carried out in Australia by a Special Investigations Unit, which concluded that he was ‘the highest ranking alleged war criminal living in Australia’. The Unit prepared detailed evidence against him, on which the report by The Australia/Israel Review was to draw extensively, and in June 1992 the Senior Counsel advised the Director of Public Prosecutions that a prima facie case existed against Ozols concerning war crimes and genocide. However, that same month the Federal Government shut down the Unit. The Director of Public Prosecutions wished to continue, but was stopped by the Attorney General. The case was closed. For his part, Ozols refused to talk to the Review. In a 1979 interview he stated that he had been in Riga when the Germans had arrived in 1941, that former officers of the Latvian reserve had been asked to offer their services and that he had merely carried out guard duties. Acknowledgment for a copy of the Australia/Israel Review report: Professor W.D. Rubinstein of the University of Wales, Aberystwyth. 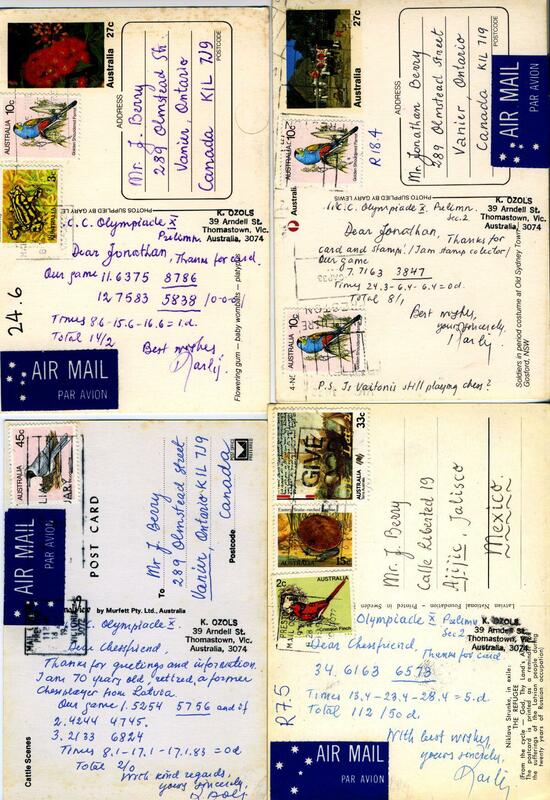 Karlis Ozols died in Melbourne in March 2001. As regards his date of birth, in June 2005 Maurice Carter (Fairborn, OH, USA) confirmed his agreement with 9 August 1912, adding that confusion between August and September had indeed arisen as suggested in our article. In January 2008 (C.N. 5393) Russell Miller (Camas, WA, USA) informed us that the report by Alter and Kapel is now available on-line, at the website of the Australia/Israel & Jewish Affairs Council. The above shot of Ozols is a detail from C.N. 7555. 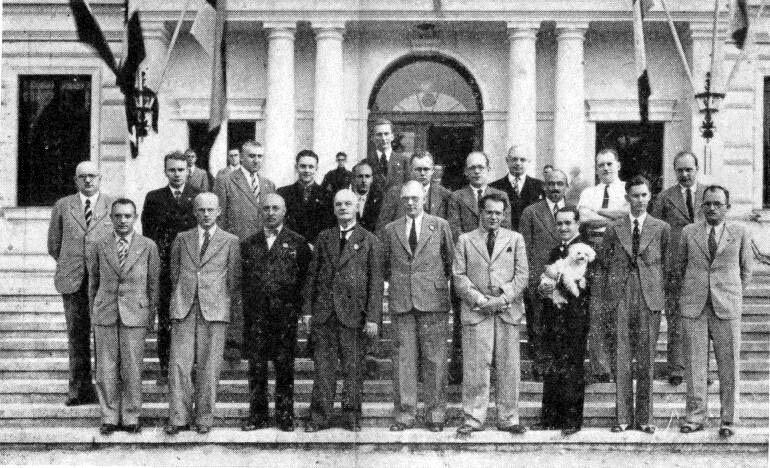 Ozols appears in a group photograph (Hanau, 1947) on page 21 of Elmars Zemgalis Grandmaster without the Title by John Donaldson (Berkeley, 2001), as well as in a picture taken at the 1952-53 Australian Championship in Hobart published opposite page 79 of Australian Chess at the Top by Cathy Chua (Oaklands Park, 1998). 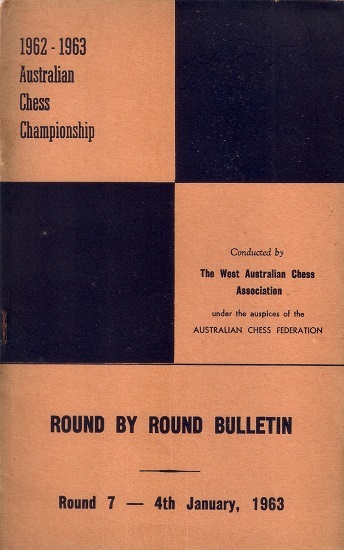 The date of the game above against Koshnitsky, 4 January 1963, has been provided by Olimpiu G. Urcan (Singapore) from page 5 of the seventh-round report produced by the West Australian Chess Association and edited by W.J. Geus. 22 exf5 Rb8 23 f6+ Kf7 24 fxe5 dxe5 25 Qe3 Qc7 26 Rac1 Qd6 27 Nc3 c4 28 Qe1 cxb3 29 Ne4 Qa3 30 axb3 Rbc8 31 Ra1 Qf8 32 Qd2 b4 33 Rac1 Rxc1 34 Rxc1 Qb8 35 Bf3 Bg4 36 Bxg4 hxg4 37 Rc6 Bd4 38 Qc2 Qd8 39 Rc8 Qxc8 40 Nd6+ Kxf6 41 Nxc8 and wins. 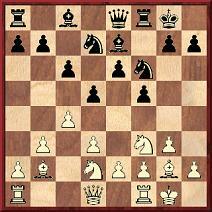 17 Nxh6+ gxh6 18 Bxh6 Bg4 19 Ng5+ Ke8 20 Bxf8 Bxd1 21 Bg6+ Kxf8 22 Ne6+ Kg8 23 Rxd1 Qd7 24 Bf5 e4 25 g4 c6 26 g5 cxd5 27 gxf6 Bxf6 28 Rxd5 Bxh4 29 Qxe4 Bf6 30 Kb1 Qc6 31 Nd4 Bxd4 32 Be6+ Kf8 33 Rf5+ Bf6 34 Rxf6+ Ke7 35 Qh4 Rf8 36 Rf7+ Kxe6 37 Qf6+ Kd5 38 Rxf8 Resigns. Source: Chess World, April 1957, pages 95-96. Latest update: 30 December 2016.